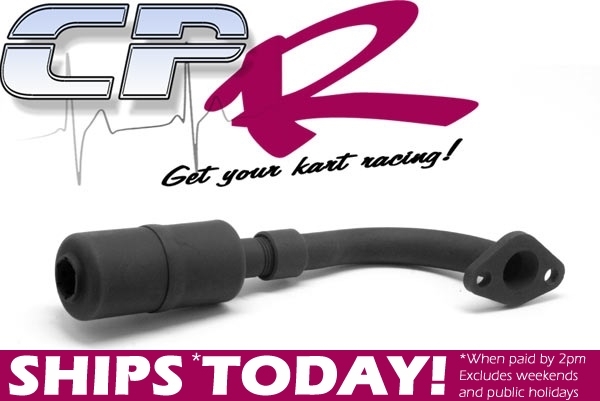 High Performance CPR Mini muffler system - same size as the muffler supplied with our 10hp ST1 engines. Direct bolt-on interchangable. Individual item bolt-on fitment for our CPR 196cc engines as well as standard GX160/200 and clone engines. Stud spacing on exhaust is approximately 44mm hole centre to hole centre.